Windows Defender is part of Windows 10 and offers basic real-time protection against antivirus and other threats. While it’s true that you can keep your PC safe from viruses without installing a third-party antivirus software and by paying a little more attention while browsing the web and downloading files, most users prefer installing a third-party antivirus over the built-in solution. Choosing a good third-party antivirus solution is not an easy task. There are dozens of antivirus software out there for Windows with plethora of features. Some antivirus solutions are easy on system resources, while some of them literally slow down your PC. When it comes to free antivirus, there are dozens of them and many of them are not really impressive, but certainly offer better protection than the built-in Windows Defender. If you’re looking for a good, free antivirus software for your Windows 10 PC, following are the free antivirus available for Windows 10, and more importantly, all these antivirus solutions officially support Windows 10 RTM. 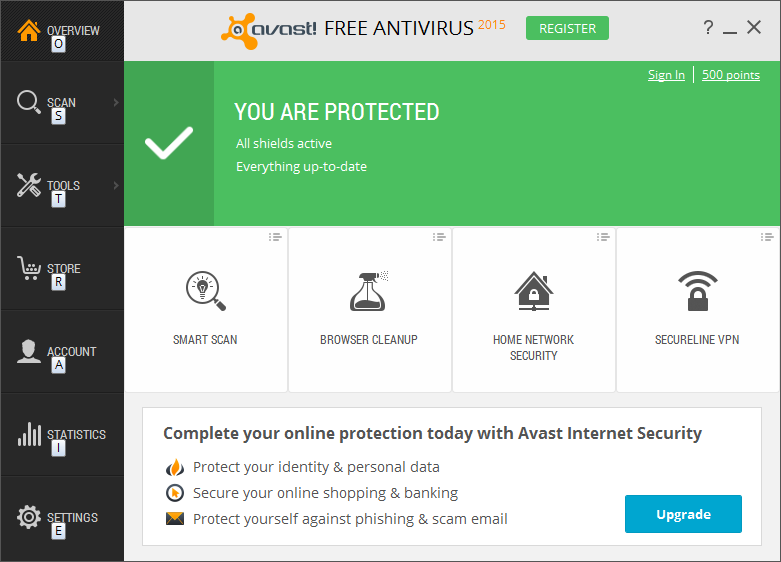 Avast is one of the most downloaded antivirus software for Windows operating system. The latest version of Avast free antivirus officially supports Windows 10, which means there will be no compatibility issues while running the antivirus on Windows 10. In addition to antivirus and anti-malware, the free version of Avast Antivirus comes with browser cleanup tool to remove annoying browser toolbars and plugins. The Home network security feature is another excellent feature available in the free version. It scans your home network and shows weak spots so that you can strengthen them. Kaspersky recently released a free version of Kaspersky antivirus and is now available for download. The Kaspersky Free for Windows offers you basic protection against viruses. 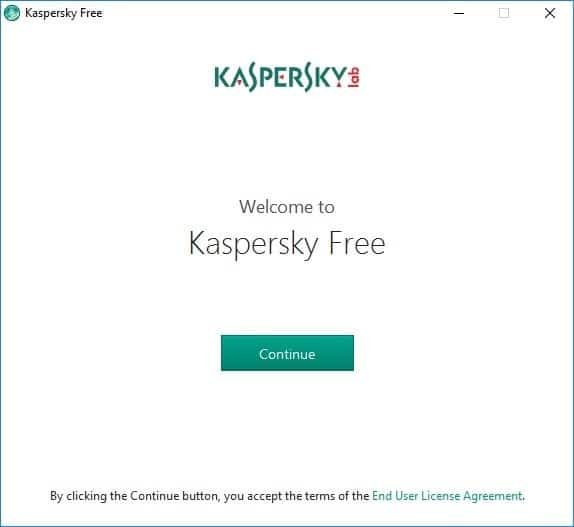 Unlike the paid version of Kaspersky Antivirus, the free version doesn’t offer much in terms of security as it mises out some crucial features that are must in this age. It also lacks many of the features offered in Avast and AVG antiviruse software. AVG is another popular antivirus software. The free version offers protection from viruses, malware, and spyware. AVG Free Antivirus also includes a feature to automatically scan web, Facebook and Twitter links for unsafe links. AVG Free Antivirus is fully compatible with Windows 10. The free version of Bitdefender Antivirus is the cut-down version of the popular Bitdefender Antivirus. It offers real-time protection, intrusion detection system to ensure that apps trying to access the Internet from your PC are not masked malware, active virus technology to detect potential threats, HTTP scanning, and anti-rootkit. 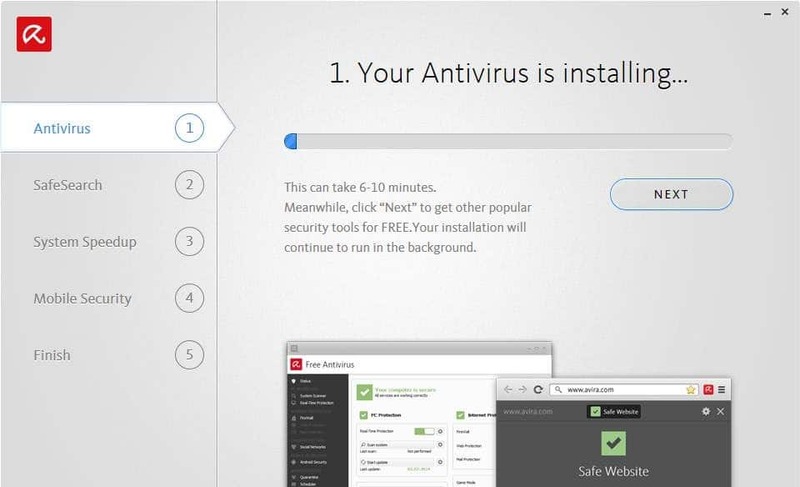 Above all, unlike some free antivirus software out there (including some of them mentioned in this article), Bitdefender Antivirus Free Edition will now display annoying offers every day to upgrade to the pro version of the software. 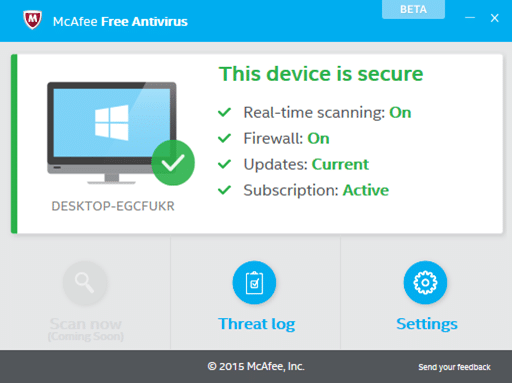 McAfee Free Antivirus is the latest offering from Intel security. This is a cut-down version of the well-known McAfee Antivirus and was released after the official release of Windows 10. The current version of McAfee Free doesn’t integrate into the file context menu, which means we can’t scan individual files and folders. Although this antivirus is currently in Beta stage and ships with limited features, McAfee Free Antivirus is expected to include a few more features and options in the final version. Panda Free Antivirus 2016 is very light on system resources and can be installed with just two mouse clicks. Panda Free Antivirus has scored well in recent tests AV tests and malware detection rate is comparable to some of the best paid antivirus software. Note that the installer tries to set Yahoo as your default search engine and changes the home page to MyStart. A couple of years ago, Avira was popular than Avast and AVG Antivirus among geeks. The recent versions of Avira for some reason are not very popular, but they still are one of the best if not the best when it comes to free antivirus. The free version comes with an antivirus scanner and browser tracking monitor to prevent networks from monitoring your web activity. The PUA blocker is probably the standout feature of Avira Free Antivirus and works more or less like the popular Unchecky software to prevent free software from installing junk software without your knowledge. Avira Free Antivirus also officially supports Windows 10. All of the above mentioned free antivirus software are pretty good and have been scoring good numbers than Windows 10’s basic antivirus. But if you want us to choose two software from the lot, we would pick up Avira Free Antivirus and Avast Free. A few of the free antivirus out there offer better protection than some paid antivirus software out there for Windows. So if you have made up your mind to buy an antivirus software, please check the AV-Test score before making the final call. That said, Kaspersky Internet Security, Bitdefender Total/Internet Security, and ESET NOD32 Antivirus are the best paid antivirus solutions out there for Windows and definitely offer better protection than free antivirus. Which antivirus software you’re using with Windows 10? I have to agree with peppersgc in that most of the programs listed above are memory hogs (even by todays standards), give false positives, etc. Avira crashed my system twice. AVG offers too many false positives, as do others in the list. I’ve tried them all and used them for extended periods of time to ensure I was giving the software the full benefit of continued use and scanning abilities (or inabilities). I use 360 Total Security now. I used the free version for over a year and ended up buying the Premium as I’ve been nothing shy of elated with its use and abilities. It’s a solid performer! Utilizing low system resources, this software has performed extremely well for me. The Speedup and Cleanup functions are champs, as is the Toolbox. It works seamlessly with both my mid-level gamer / workhorse PC and my laptop. The truth is that the most important security feature is our common sense, no security application can protect us if we foolishly click into anything that is in front of us. If you want to have them as an extra layer of protection it’s fine, but that’s as far as you’ll go. I have AVG and MalwareFox. I’ve used AVG free for years. Now I am uninstalling it from all my PC’s. Too annoying with pop ups that can not be blocked. Shame on AVG – used to be a good product that i recommended – not any more! I like AVAST and Panda seems good also. I had Avast paid AV, but once I upgraded to Windows 10, it slowed the computer down so much, that I thought it had a virus. I took it to the computer shop and it actually slowed down their computers whilst they were testing. They advised to uninstall Avast paid, of which I was hesitant to do, as I had only recently paid for a 2 year subscription. I researched the problem and people suggested to uninstall the paid version and install the free version of Avast. I finally had enough, uninstalled Avast paid, installed Avast Free and enabled Windows firewall and my computer is now running quicker than ever. Never again will I pay for an. AV program. I honestly don’t know where to begin with this… Did you even do any actual research before writing it? Let’s start at the beginning, shall we? Leading the field in resource hogging. During scans in Windows 10, it can reach up to 2GB of RAM. Compatibility in Windows 10 is atrocious. It actively identifies other safe security products as malicious. Very high false positives. Extremely high false positives. It identifies widely used safe products as malicious, such as anything written using the Python programming language. Very slow scans. Far too many failures in actual virus cleanup. Says it right on the site. DO NOT USE WITH WINDOWS 10. It has not been updates to work with Windows 10. Aside from that, it has no ability to mark false positives. If it finds a supposedly infected system file, oh well. You’re just reinstalling Windows. Worst detection rates of most security programs on every single AV testing site. Recommending Mcafee is tantamount to willfully causing harm to users computers. Incredibly high resource usage in Windows 10. Simply installing a program on your computer takes 6X longer, i.e. a 30 second install takes 3 minutes. Its detection rates, and cleanup are still some of the best, though. Hobbled. Most security features are missing in the free version. However, the free version does offer very adequate protection for the careful user when coupled with a HIPS enabled firewall. My recommendations of the best antivirus for Windows 10? Tencent PC Manager, 360 Total Security Essentials, and Avira Free. All offer multi-engine protection (except Avira) without conflict, are good on resources, and do very well in cleanup of infected systems. They include anti-malware engines, anti-spyware protection, and safe surfing features. Tencent PC Manager, and 360 Total Security Essentials also offers cloud based protection much like Panda (but without the ridiculously high resource usage, and every day task slow down). Matt & Antiviruswarrior, I agree with you guys. It’s possible to keep the PC and data safe even with the built-in antivirus and I have mentioned that in the article. But the problem is, most PC users don’t follow the best practices. you are damn Right @antiviruswarrior . im using WD ever since i had Win8. and before that MSE. and thank to god i didnt have any problem with it. I have been using Windows Defender ever since I had Windows 8, and MSE when I was on Windows 7 and I haven’t had a single infection so far. No antivirus or anti-malware can protect you if you engage in risky behavior or you are careless and negligent. A user is his own worst enemy. Until users understands that their REAL priority is to keep themselves safe and they put games, videos, music, etc. in their rightful place, i.e. secondary activities, they will continue to have a false sense of security. Similarly, telling users that this or that antivirus is the best and will keep them safe is misleading and should never be the real focus. Rather, you should spend your time writing articles would educate users on how to protect themselves from themselves!